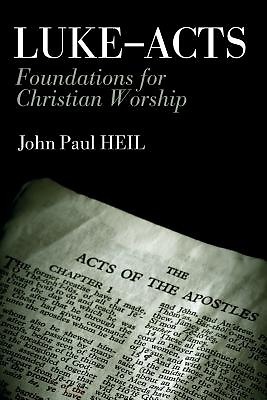 This book demonstrates that Luke-Acts provides its audience with a basic foundation for all of the various dimensions of Christian worship. With the arrival of Jesus, and especially his being raised from the dead by God, the preeminent locations, leadership, and times for worship move beyond the Jerusalem temple, Jewish synagogues, Sabbath, and the Jewish feasts of Passover and Pentecost to worship in and by the Christian community. As Son of God and Lord, Jesus becomes an object of true worship along with God the Father. Jesus serves as a subject for laudatory worship. Jesus teaches about prayer, engages in it, and serves as an object for supplicatory worship. Jesus not only took part in the ritual worship of being baptized by John, but as the risen and exalted Lord baptizes believers with the Holy Spirit in the sacrament of baptism. In addition, the many meal scenes throughout Luke-Acts provide numerous insights foundational for proper celebrations of the Eucharist. ""John Paul Heil skillfully demonstrates how Luke presents the Lord Jesus as the object of worship not only for his first disciples, but also for those who come to know him through the Luke-Acts narrative, and seek to worship that same Lord in their prayers and the breaking of the bread. This book is an excellent introduction to the foundations of the Christian life as understood and formulated by Luke."" --Thomas Esposito, Assistant Professor of Theology, University of Dallas John Paul Heil is Professor of New Testament at The Catholic University of America in Washington, DC. He is the author most recently of The Gospel of Matthew: Worship in the Kingdom of Heaven (2017).